Let me start this review by saying that this is going to be one of my favorite books of 2014, it’s that good. It’s a prequel to BAD THINGS HAPPEN and VERY BAD MEN which feature David Loogan. 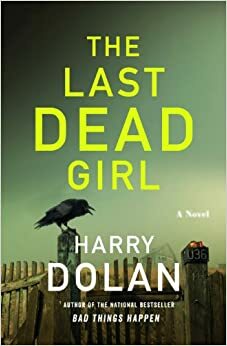 THE LAST DEAD GIRL is set in 1998 when David used his original last name, Malone. It’s a twisty plot that kept me guessing. Let me see if I can do it justice without giving anything away. David is seeing a woman that he met under strange circumstances after she hit a deer. Jana Fletcher is a law student at a local college. After only being together a couple weeks she is murdered and of course David is a suspect. Against conventional wisdom he ignores detectives advice and starts digging around trying to figure out exactly who he was involved with and the what he discovers keeps opening up more secrets. There is a killer on the loose keeping an eye on David and others, the cops still want him in jail and his ex-fiancé’ is doesn’t know what to believe. I kid you not when I say I read this in one sitting. I could not stop. Every time I thought there was a point when I could put it down another revelation kept me reading. The pacing isn’t all that fast, but the suspense build up through out the book is relentless. Upon finishing I kind of sat with my mouth hanging open and actually said “wow” outloud. And of course now I want to re-read the first tow book Dolan wrote.Books like this are why I love to read.